This book isn’t about pointing out what’s wrong with medical healthcare. In fact, Dr. Britton is the son of an emergency room physician. 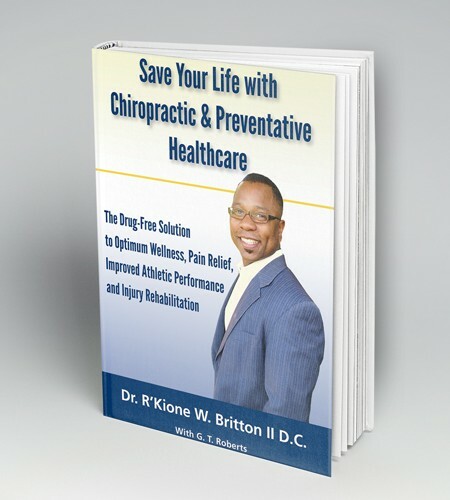 The medical paradigm provided Dr. Britton with a wonderful childhood that created his passion for service. Also the son of a teacher, he realized that educating others was the definition of what it is to be a contributing member of society. Dr. Britton’s book is about community. In America, a certain number of dollars is produced. The money is then allotted to serve different needs — for example, military, food, energy, transportation, education and healthcare. We need to face the fact that there are limited funds available. If we’re to use our money to the greatest benefit, then we must begin to see chiropractic and other alternative healing arts for their value in preventing healthcare costs from increasing. The chronic, inflammatory health problems we face cause us to lose the things we love. You might still have to go to work every day, but you aren’t able to live to your fullest abilities and keep participating in your passions. Our healthcare system must allow for natural solutions before our problems develop into costly diseases. Contact our office today to discuss how we can help you live a fuller life.